Enter or Update Bicycle Registration Information - ALL of the * fields are required. The Collective is required by law to register every bike sold. We use this information soely for this purpose and it is kept entirely private. You must include the red "T"
Identification - The police can use your ID to determine your current address if they recover your bike. Multiply the number of gears on the cranks by the number of gears on the rear wheel. Flip the bike upside down, look at bottom bracket shell, clean if necessary. 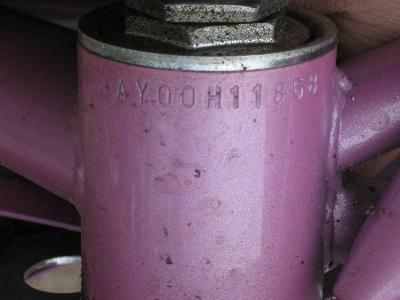 If you can't find a serial number, you need to go to the SLCPD to get one stamped on your frame. The Shop Manager has to do this.